I have the K800 and my keyboard battery dies in less than a week. I know that logitech is by far not the best brand out there but they do make quality for a decent price. In my eyes nothing will ever beat a cherry when it comes to reliability it is only the design that was lacking at the time. Ah....link worked this time...looks 'trendy'...but not into all that backlight bling...more interested in material/construction/and switch function feel....and a Bluetooth interface with long battery life and easy recharge...the Edge does all that...only minor issue is not having the numpad section. Well, given the advent of USB 3.1 and new mobos comiing out with the new protocol later in the year, I may just delay building my next rig until early 2016, depending on price, of course, and whether the mbo of choice comes with USB 3.1 at the time. I would prefer to go with the Asus Extreme mobo if I can get one with USB 3.1, but if not, the article does state that Asus have Deluxe versions in the pipeline, though I'd rather not have to compromise if I don't have to. Thing is, I won't mind waiting awhile longer to get better board at a better price, if that's the way it turns out. My keyboard is a Logitech K260 and I can't remember the last time I changed batteries. Last year sometime. Its like once a year for me. Yeah, I know, I'm not getting any younger, but it would only be about 4 - 5 months... IF I have to wait... depending on availability and price, of course. It could well be the Extreme mobo has USB 3.1 at a decent price around August or thereabouts, in which case I'll not wait. It's just that new tech tends to be a bit expensive early on and waiting a few months is often worthwhile, price-wise. As for leaving a beautiful corpse, nah, not possible. The old girl reckons I was a beautiful baby, but after that.... Besides, I've broken it too many times in too many places to leave anything remotely beautiful... and for the various bit of metal I have inserted here and there, it'd be wise that funeral goers do not have magnets upon their persons. it'd be wise that funeral goers do not have magnets upon their persons. ... maybe he's fearful they'll be the ones getting staked? Nope, I haven'r done any serious hickeys in a while now... nor have I had any recent compulsions to turn into a bat. As for magnets at my funeral, perhaps I should have everyone pre-warned just in case. I mean, wouldn't want any of those magnet therapy types getting dragged into my grave as the coffin is lowered in, hey! Yup, I have to agree there. 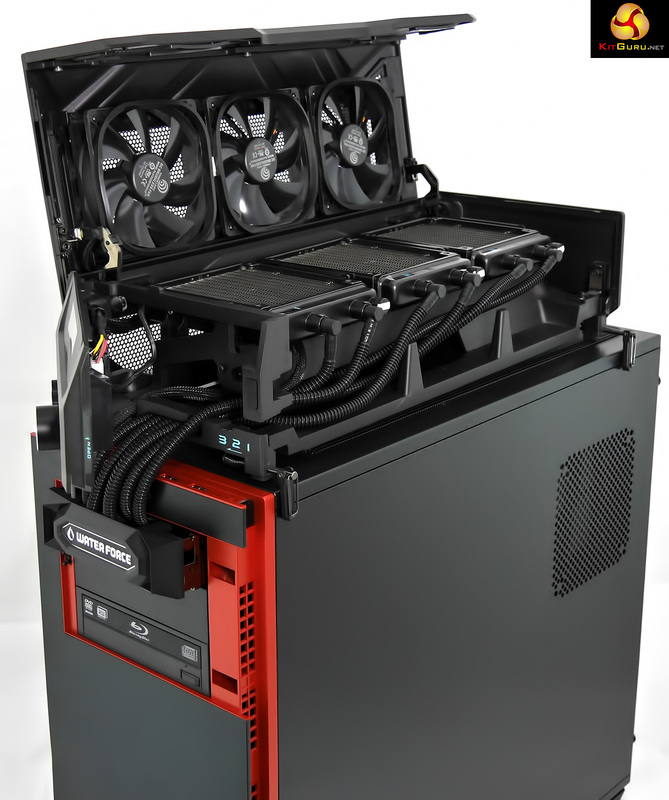 The modular case looks okay, but would it house addons such as Soundcards, large GPU's, etc? And what about a half dozen or more HDDs, or a 1200w+ PSU? While it looks nice, I'd be concerned my choice of components wouldn't fit. With my version of the Level 10 there's more than enough room for thr largest graphics cards - 3 in SLI if I wanted - and another 6 expansion cards if needed... and it'll accommodate the largest PSU with room to spare for a 120mm bottom fan as well. Yeah, it was a great [second] choice. I was just curious to know if you were still have boot time problems? 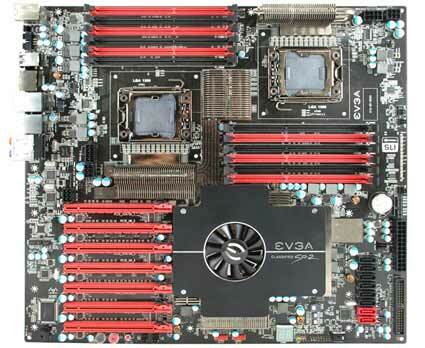 I ran across this article which includes info on ASUS A99motherboards. Software, driver, and boot support has been a hurdle for NVMe. An industry consortium has worked to implement enhanced driver support across many operating systems. 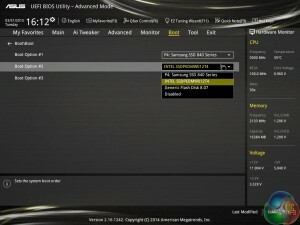 More relevant to consumers is that Intel and motherboard vendors have been working together to ensure that NVMe devices are seen in the UEFI BIOS and that they can be booted from. 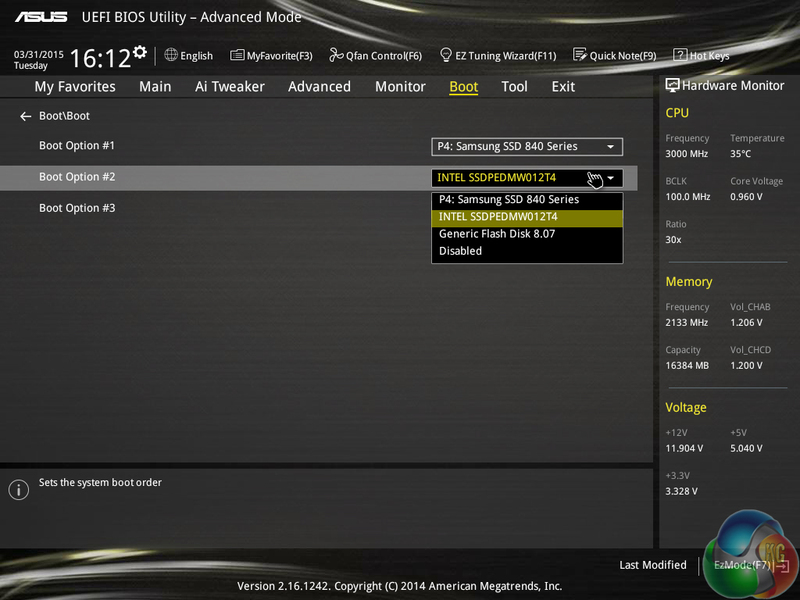 Most X99 and other 9-series motherboards have seen recent BIOS updates that equip them with NVMe drive support. We had no problems using the SSD 750 NVMe drive in our Asus X99 Deluxe motherboard with the latest BIOS. I know it's an Intel M2 card as apposed to your Samsung, but this card seems to also support z87 AND x79 motherboards in Windows7 AND 8.1 64bit with recognition and no problems with boot times. I watch a lot of mecha series and what Jafo is trying to build is GN Armour, or Armour Mobile suit, or artillery type/Destroyer type computer. In multiplayer terms we call such a build the "Overkill the noobs build." There usually over powered monsterosities that are not green to the environment because the performance per watt is not fully utilised by the games we play (wait for dx12 for you GTX 9XX) and they draw an immense amount of power to run all those components at maximum speed. In mecha series GN ARMORs tend to be slow moving but heavy on defence with long range offensive capabilities. In this case we are talking about high frame-rates, or unlocked frame-rates that allow sniping easily at an incredible range. Coupled with a monitor with a an insanely high refresh rate then you get a long range killing machine He can also turn off virtual memory with high amounts of ram, rendering such a feature worthless and blaze data through the rams without touching the SSDs for any extras. Defence comes only in the way of a machine that can run a large screen estate that can set a higher resolution and have a larger glimpse of the battlefield. ARMOUR type units are usually in boss episodes or episodes with cliff hangers that put the challengers through a tough time. Only skill wins here because Jafo won't have so much distraction from bottlenecks. I have seen first hand what these kinds of machines can do to Noobs when in the hands of a pro online because they will be so much crying about a cheater in the game. Its actually a pro whose skill and assimilation into the game is at its max because of no performance hiccups. Only internet lag can save noobs from "Overkill the noobs builds!" So....what are you saying....in spite of my first foray into computers being in the 60's .....I'm a 'noob'? There's a lot of brain damage in that post, but after I caved my skull in I may have grasped some of it. It appears as though he's comparing your computer build to some sort of elite game strategy. Overkill for high end gamers the double Intel Xeon 5500 5600 CPU's, 64gbtddr ram and 3 GEForce 980's and the Gigabyte Waterforce cooling system. Bugatti!! fooshniken...I don't boot/reboot often enough to worry too much about needing a few cold resets to get it up and running. Once there it's perfectly fine. no jafo.. your not a noob but you are building something that annihilates noobs. Nope...HAS built something that annihilates noobs.... this thing is a reality, not in the making. Now mine, which has similar HW specs but a CoolerMaster case, is a project in progress. I have some of the parts/am saving frantically for the rest. With a bit of luck and a fair wind I should be done by mid to late August 2015. Jafo is this true? You've actually completed this build and are using it in multiplayer games? Explain your experience and feel? What are the final Specs under the hood? Yes, it's been up and running for about 3 months....hang on....my M.2 drive has been powered up for 3 months, 7 days and 10 hours....[that's the OS]. It's roughly twice as fast frame-rate-wise than the old one [with the GTX590]. I don't do 'multiplayer' games, just primarily FSX, and there are occasions when I'll have 15 instances of Graphics proggies running at once, as well as the flight sim. so your totally ignoring the article which says the "systems" have caught up with the hardware??? irrelevant whether you boot once a day or once a year, if you have to reboot three or four times to get this machine going something is definitely wrong. I would think you would be more curious to get to solve the problem and get back with us as to how to prevent these circumstances.